You can show the portfolio using our default ShortCode or you can use our ShortCode generator to generate multiple different customize portfolio shortcode. Just add this ShortCode on your page and it will show the portfolio items. You can change the basic ShortCode options from the plugin settings. If you already added portfolio shortcode, now it’s time to show the portfolio on your site. Go to Portfolio > Portfolio ShortCodes. Here you can see all the added ShortCodes. All you have to do is copy the ShortCode to use and put it on your page. 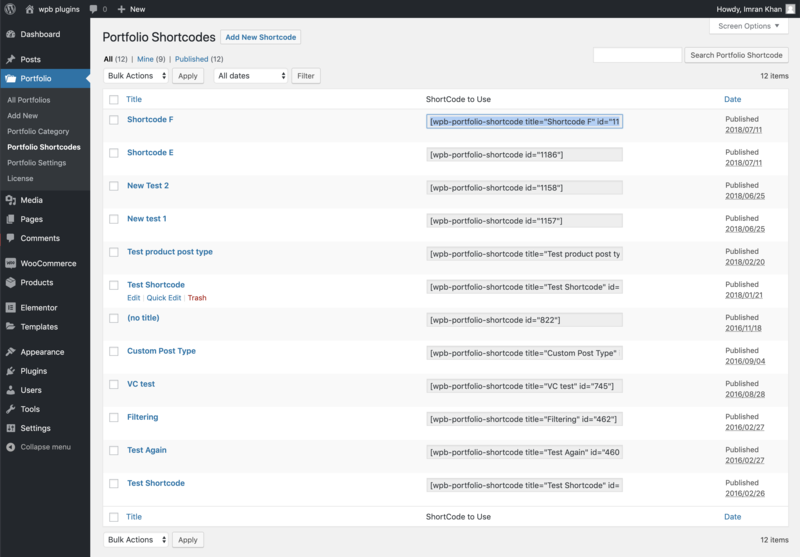 If you are using any page builder then use the builder ShortCode adding element/addon to add the portfolio shortcode. This plugin allows you to show multiple different portfolios in different places on your site. 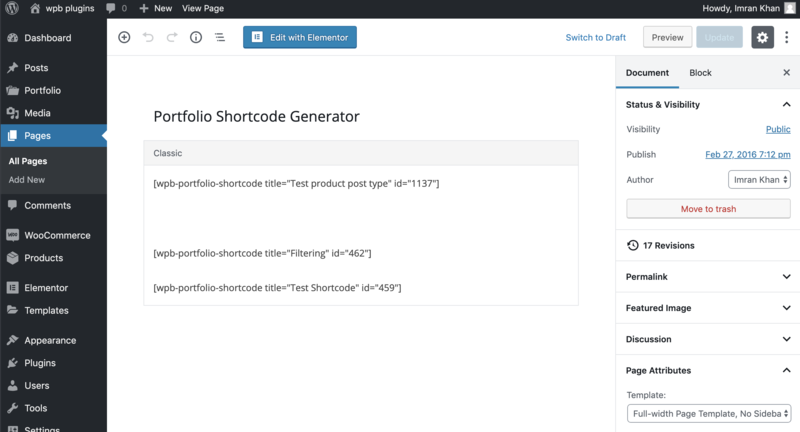 Just add another customized portfolio ShortCode and use the shortcode on another page.